So at the Lord’s command Moses sent them out from the Desert of Paran. 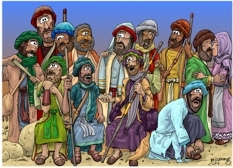 All of them were leaders of the Israelites. No time of day is mentioned in the Bible verses above. I imagine this scene would occur early in the day. Diffused sunlight from above & left lights this scene. The 12 men are listed above. See image below for there identification in the cartoon. Although I drew this scene in pen & ink in March 2014, I have only just coloured it up & finished it in May 2016! 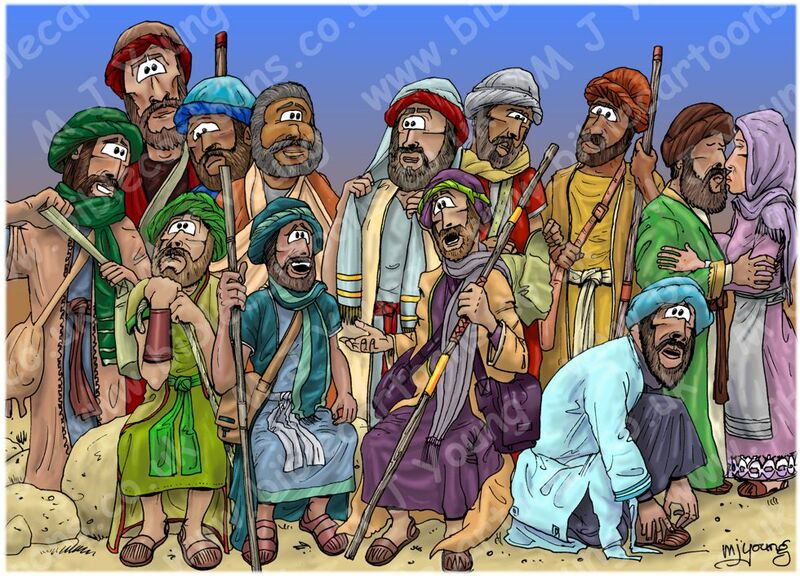 I decided to use the 12 Hebrew tribes colour schemes I devised in Feb 2011 as the basis of the clothing colours for the 12 men in this scene. 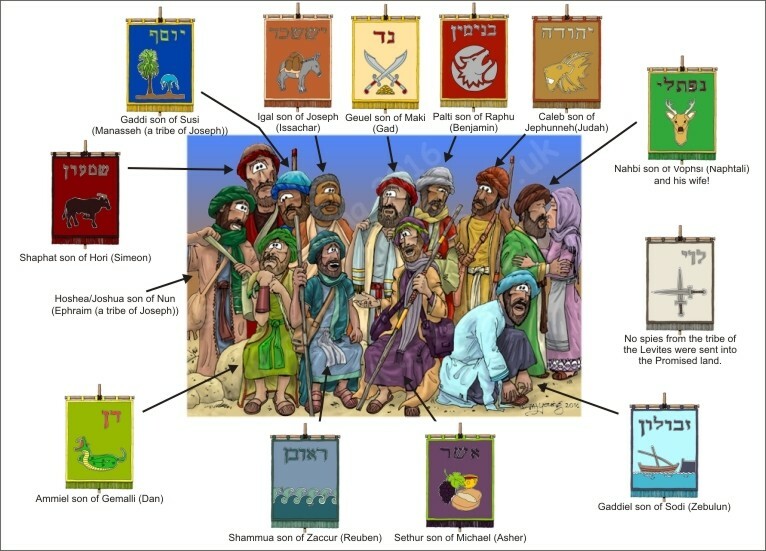 Each man is a representative of his particular tribe, so it made sense to me to use the tribal banner colours in their various robes, turbans & clothing.